Real time price feed for jewelry stores, pawnshops, bullion dealers and cash for gold buyers. 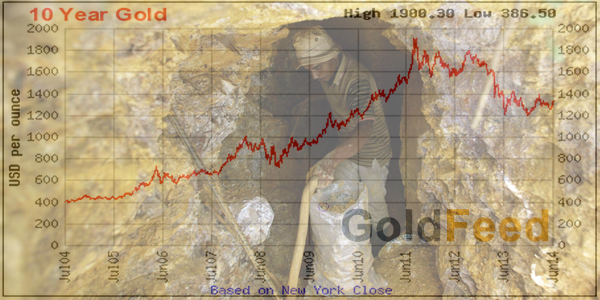 Looking for the best gold, silver, platinum and palladium spot gold price API? Look no further. Our robust and always on XML and JSON spot price feeds are reliable, accurate and the best in the the industry. Includes 1st and 2nd London fix, world spot for gold, silver, platinum and palladium. Each metal in our feed also includes high, low, dollar change, percent change as well as open and close. Rest easy knowing that our precious metals price API will always maintain accurate and reliable pricing on your site or in your shop. Precious Metals Feed by Gold Feed Inc.